Keeping in mind the diverse requirements of our clients we are involved in offering an extensive range of Brass Forging Parts. These are developed by our highly skilled professionals using ebst quality raw material to render maximum client satisfaction. 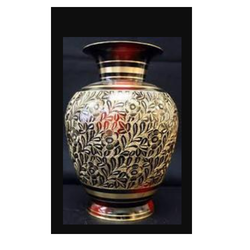 Offered product is highly demanded in market due to their best quality and fine finish. Additionally, we offer our products at very reasonable prices. With vast experience and knowledge we are involved in offering a premium quality range of Brass Forging Components. These are available in market in various specifications as per the clients requirements. These are highly reckoned among our clients due to their fine finish and reliability. Additionally, we also assure timely delivery of our products. We are mfg of various types of Brass, Copper and Alumunium Turning items.